CCCU’s Politics and International Relations team was strongly represented at the 24th IPSA World Congress of Political Science held in Poznan, Poland, from 23-28 July, with participation from senior academic staff, early stage researchers, and Ph.D. candidates. The International Political Science Association (IPSA) is the world forum for Political Scientists and over 3000 delegates gathered to discuss the theme of ‘Politics in a World of Inequality’; and here the work of CCCU academics, in the fields of Comparative Federalism and Politics and Ethnicity, made a significant contribution. In the first of these fields, Dr Soeren Keil organised two panels on ‘New Models of Federalism and Federation in the Post-Cold War Era’. These panels, part of a wider project at CCCU on ‘New Federal Models’, sought to develop our understandings of the federal idea that has become increasingly seen, in the post-Cold War world, as an effective and efficient response to demands for autonomy by minority nations, as a tool to pacify violent conflicts, and as a polity building tool in regional unions, notably the EU. The preparatory work carried out in these panels, with the presentation of concepts and methods of analysis, will contribute towards an edited volume comparing a number of case studies that will make a significant contribution to the canon of literature on federalism and federation. Dr Soeren Keil’s paper, which he co-authored with Amina M’lili (Ph.D. student at CCCU), was entitled ‘Federalism in Post-intervention Iraq: Imposed, Evolving or Failing?’ Here the lessons of the limitations of imposed solutions in a conflict-riven state, in the absence of a ‘federalising spirit’ are important. The initial conclusions of the paper are that without an end to the current conflict, the emergence of a federal political s culture will be impossible. Mr Paul Anderson, Ph.D. candidate at CCCU, then discussed an important and extremely topical issue in a paper entitled ‘Could Federalism save the Union? Territorial Governance and Constitutional Change in the United Kingdom.’ Here Paul examines the development of forms of territorial autonomy in the UK, known as devolution, and asks whether these might, or should develop along federal lines to give a long lasting, and overdue, answer to the Constitutional questions that continue to dominate Scottish and British politics in the wake referenda on Scottish independence and UKexit (a.k.a. Brexit). He argues that whilst the UK will never adopt the terms federal, or federation, the underlying principles of federalism and federation, with a particular emphasis on shared rule, might be used to save the Union. Simon Bransden, Ph.D. candidate at CCCU, used current discourses by political elites in the EU to develop understandings of the state of development of the integrated EU – in a paper entitled ‘Current Discourses on the EU as a New Federal System in the Post-Cold War Era’. In this respect, he sought to both develop the understandings of the EU as a ‘new’ federal political system (by comparing it with pre-Cold War concepts), but also to identify areas where the incomplete application of existing Treaty provisions has become salient in areas of defense and security, migration, and in maintaining the cohesion of the Union. Francesco Violi, Ph.D. candidate at CCCU, then delivered a paper which looked at how in the EU aspects of both confederal and federal political systems co-existed – notably in the case of the Eurozone. His paper, ‘Building a New Federal Political System: Reassessing Recent Developments in the Eurozone’, gave an overview of the theoretical approaches to the question of the extent to which ‘sovereign’ states move from limited policy participation in a largely intergovernmental confederation, to deeper policy integration in a federal union. He will be developing the paper in respect of using this framework to analyse the development of the Eurozone and the Economic and Monetary Union in the EU. In the second of the fields, Dr. Licia Cianetti, lecturer at CCCU, participated in a panel on ethnopolitical mobilization – in which the complex dynamics of identity politics were discussed. Her Paper, ‘Minority Integration Between (Mis)Recognition and (Mal)Distribution in Contemporary Europe’ examines the growing mismatch between the recognition of the ‘persistent social and economic exclusion’ that minorities across Europe suffer, and the increased reliance on ‘a “trickle-down” approach to fighting social exclusion’, exacerbated by recent economic crises. Soeren Keil and Licia Cianetti also acted as discussants on various panels, covering areas such as the Refugee Crisis, the Responsibility to Protect and Forms of Multilevel Governance. 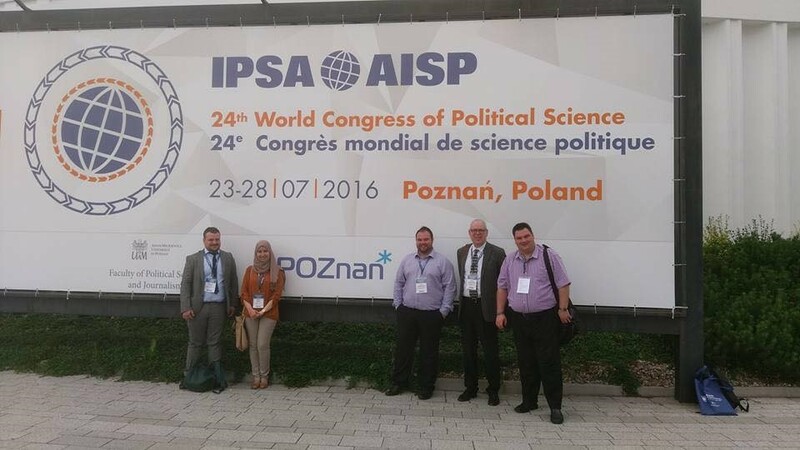 Overall, the six members of CCCU that were present at IPSA’s World Congress in Poznan highlight the variety of research that is done in Politics and International Relations. 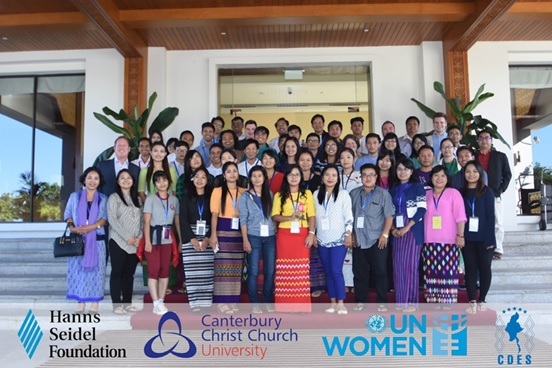 CCCU’s participation demonstrates our growing strength in the area of comparative federalism. In addition, work presented in the areas of minority rights and conflict resolution highlights how diverse our research is. 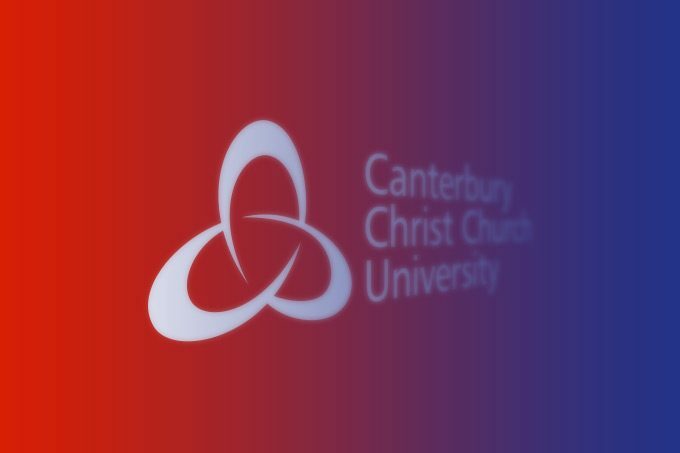 CCCU was one of the most represented institutions at IPSA, thereby demonstrating the growing international profile of our staff and Ph.D. researchers. Funding for the participation at the IPSA World Congress was kindly provided by the Politics and International Studies QR fund.